Before you read this review you need to know a little bit about me and my taste. I am a sentimentalist. Things that connect to my childhood or experiences I have with people have very high value to me. With that being said, I remember 2001 and buying three albums that have a lot of value to me. Coldplay- Parachutes, Travis- The Invisible Band, and Oasis- (What’s the Story) Morning Glory. Before these albums my musical taste was….limited. I basically had The Beatles, The Who, and U2. When I bought these albums I researched them, as I do. I got really into the “Britpop invasion” of the post-grunge nineties. I discovered Blur, Radiohead (who outgrew Britpop in 1997), the verve, and others. I remember listening to Be Here Now in my friend Jaden’s car. I remember looking at the album cover to Morning Glory when working at a concession with my friend Ginger. These are moments I remember. I will always have a soft spot for these bands, no matter how “bad” their music may get. Now for the review. Do not expect any originality on this album. This is Oasis without Noel. Some may think that Oasis hasn’t made a good record in awhile; I think Don’t Believe the Truth was a fantastic album. This album is by no means fantastic. I enjoyed the album. This is a fun album, it is nothing new, and it is simple and direct. The thing best thing about the album is that it is not at all trying to hide its British invasion fandom (one of the songs is titled Beatles and Stones). 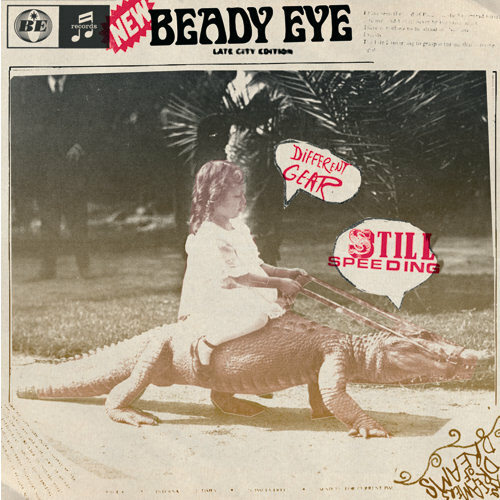 What Beady Eye does well is execute. Liam is a great front man who can sing classic rock songs. Gem, Andy, and Chris are great musicians. The writing and the feeling of laziness is the major flaw of this album. Most of the lyrics feel like they are written by some made for MTV music guy. This is an album that is fun, especially if you like cheesy, lighthearted, classic rock. Recommended listening: Four Letter Word, For Anyone, Bring the Light. Named after a Talking Heads song, Radiohead started as few snobby British art school kids. Now they can only be viewed as the greatest band in the world. This is proven in their latest album; how it sounds, what it represents, how it was released. This band breaks all the rules of the modern music world. It is more then releasing their own record online, they did it without anyone leaking it, they did it cheap, and they are making the money. In Rainbows (2007) in a similar fashion and they made $30 million! With the current state of music being leaked, ruined, and controlled by some faceless entity in a window office, Radiohead does things their own way and people follow without question. I am a follower. 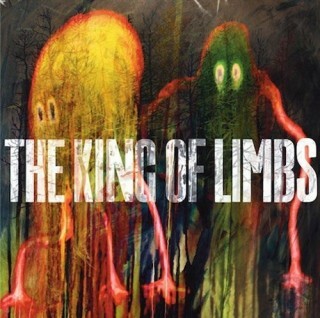 The King of Limbs marks yet another leap the band makes. As significant as the change from The Bends to OK Computer to Kid A. This is them getting better, which I thought to be impossible. It is simple and touching, and it expands and shrinks, it rises and falls. It came as a shock mentioned last week, delivered an entire day earlier then announced, and again I am blown away. It is really, really good. My current favorite part of the 8 track is the three-in-a-row masterpiece of Lotus Flower, Codex, Give Up the Ghost. Lotus Flower will be the first track most people listen to because it has been mentioned the most, and has an incredible video of Thom contorting artistically. It may be the best new track, it has rhythm, grace, and shows off Yorke’s vocals like all the best Radiohead songs do. It is followed by Codex, which is a throw back to the haunting simplicity of Exit Music (for a film). This song slows the pace and sets you up perfectly for the acoustic pound of the beginning of Give Up the Ghost. This song really gives it to you; great guitar beginning, incredible chorus, perfect climax and conclusion to this genius trifecta. Cannot suggest this album any stronger. Suggested listening: It is only 8 tracks, listen to them all.